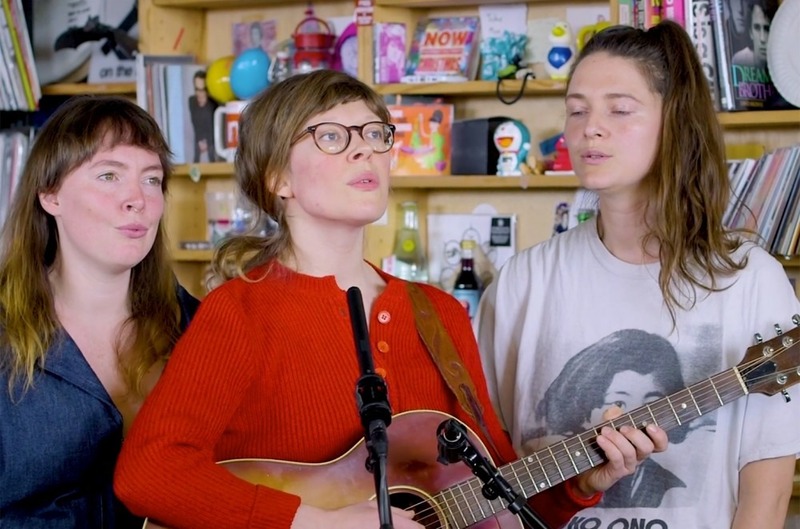 Mountain Man stopped by NPR’s Tiny Desk to carry out three delicate songs from their newest LP, Magic Ship. Trading activates lead vocals on every successive music, the Bennington, Vt.-based trio kicked off their set with the layered harmonies of Appalachian folks music “Rang Tang Ring Toon,” the lead single off their 2018 sophomore album. “Beans boil within the pot/I’m dancin’ from room to room/The solar is setting and the air is sizzling/Rang tang ring toon,” the women sang over Alexandra Sauser-Monnig’s light plucking. Next, Molly Erin Sarlé took over acoustic guitar duties on the dreamy lilting “Moon” earlier than Amelia Meath completed issues off with the temporary, a capella storytelling of “Stella,” which clocks in at a mere 1:53 in complete. Watch Mountain Man’s total Tiny Desk efficiency beneath.